In 1957 the B’laster Chemical Company was started in response to the excessive amounts of rust forming on mining equipment at a phosphate mine in Florida – nothing could break through the corrosion on the equipment; that was until B’laster’s PB Penetrating Catalyst was introduced. Since then, the B’laster Corporation has become the maker of the No. 1-selling penetrant in the United States and has been producing professional-grade penetrants, lubricants, rust inhibitors and full line of specialty formulas for U.S. and Canadian professionals and consumers. Wajax is the exclusive Canadian Industrial Distributor for B’laster Penetrants, Lubricants & Rust Inhibitors! 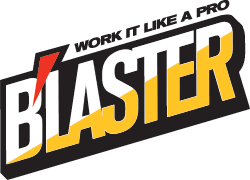 Among the B’laster professional-grade products now available through Wajax’s integrated distribution system are the Original PB B’laster Penetrant, which quickly breaks loose rusted or frozen parts caused by rust and corrosion; B’laster High-Performance White Lithium Grease, a low-odour, clean, white grease that lubricates by creating a protective barrier against moisture and oxidation and which is safe for a wide range of applications; B’laster Industrial Graphite Dry Lubricant which creates a quick-drying film that provides long-lasting lubrication to reduce wear and extend equipment life; and B’laster Non-Chlorinated Brake Cleaner, which quickly dissolves and flushes away brake fluid, oil, grease and other surface contaminants from brake linings, rotors and drums.